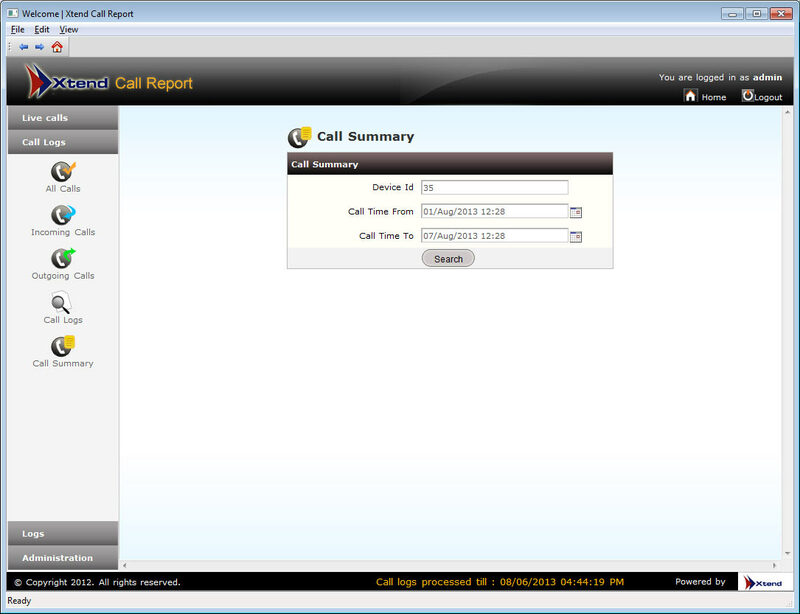 This submenu gives the overall Call Summary. Enter the “Device ID”, “Call Time From” and “Call Time To” and then click on Search. 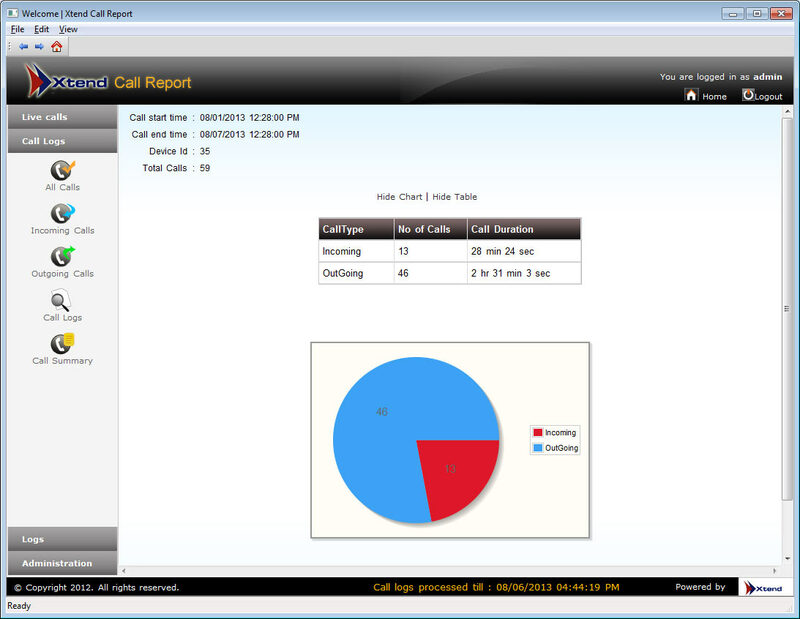 A window as shown below with graphical representation of the calls will get displayed.